These nails were painted last summer on Chanel by one of Sophy Robson’s girls at Hari’s Kings Road. 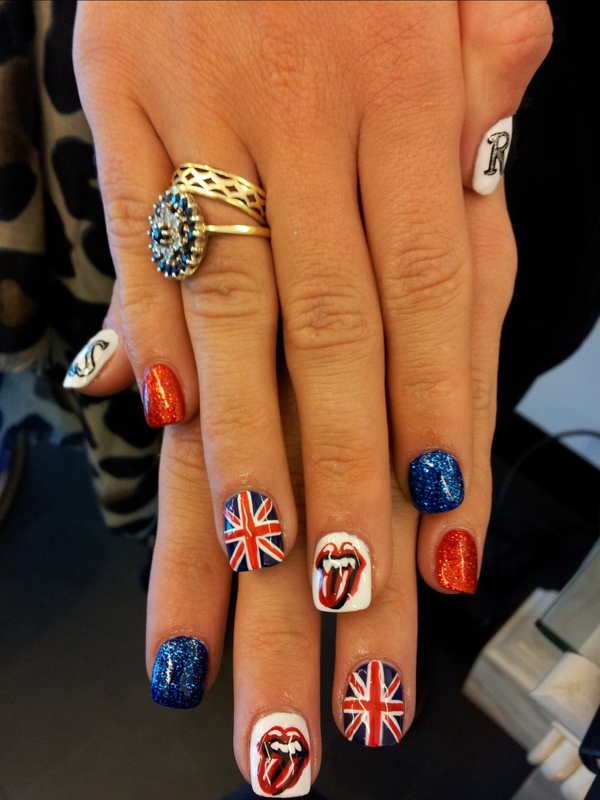 The theme is Rollings Stones and the union jacks and the stones trademark lip logo are all hand painted. Better than any foil wrap I’ve ever seen! 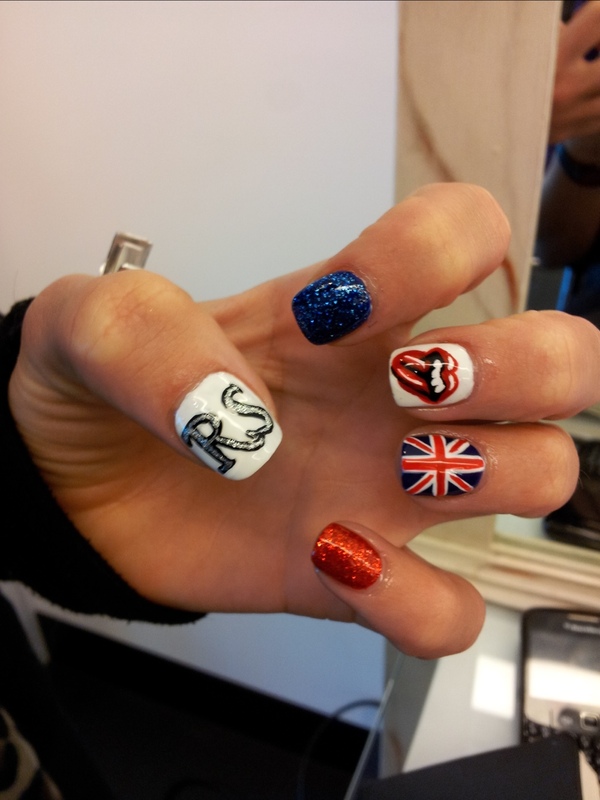 Aren’t they, nail art has become one of the fastest growing accessories!